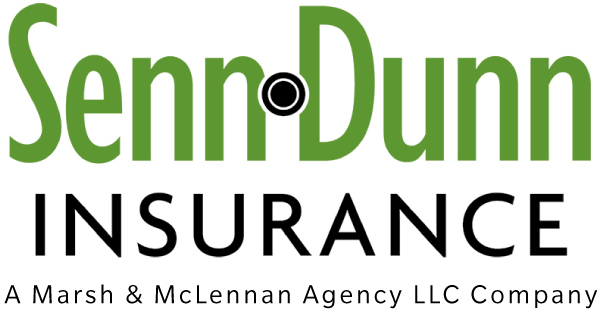 Senn Dunn Insurance: Thank You From Your Senn Dunn Team! Hello from your team at Senn Dunn, a Marsh McLennan Agency! Thank you for all the support regarding our recent ownership change. It has been an exciting time for our company. We have spent the last several weeks internally learning how to take advantage of the additional resources that MMA brings to our clients. We have a lot to learn, but it has been energizing to all of us. We look forward to bringing those enhanced resources to you using the local Senn Dunn team that you already enjoy. It has been a smooth transition so far, and we are working hard to keep it that way. Externally, one of the interesting things about our role is that we are very close to the operations of our clients. Due to the nature of our work, we are very familiar with aggregate payroll changes, staffing changes, and capital investments. We continue to see good economic indicators from a broad array of industries including construction, manufacturing, and business services. While each business faces its own competitive pressures, we feel a strengthening of the economy here in the Carolinas. With those economic changes can come additional exposures. Please remember to connect with your Senn Dunn team early if you are expanding your operations, adding locations, or adding new products or services. We want to proactively help you manage your risk and cost. Over the next few months and years, you will see us revise our "brand" to incorporate the Marsh logo and colors. We feel that the combination of the Senn Dunn spirit and the Marsh resources will make for a strong business partner for you now and in the future. Since 1927, we have adapted and updated our deliverables to meet your needs. This merger is one more example of that adaptation! We sincerely appreciate the support we have received from our friends and clients these past few weeks. Have a good summer, and thanks again for your business and confidence. Click here to read more on our acquistion!